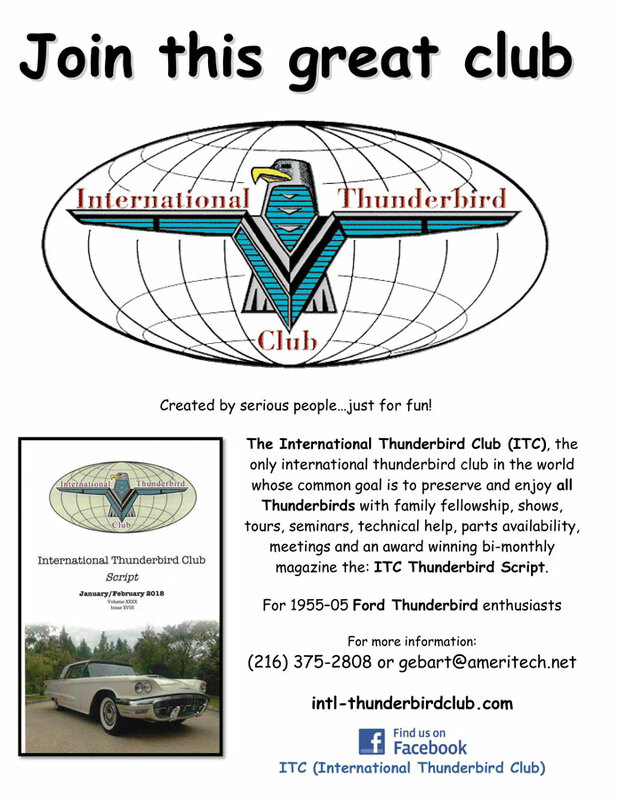 The International Thunderbird Club, the ONLY International Thunderbird Club in the world whose common goal is the preserve and enjoy all Thunderbirds with family fellowship, shows, tours, seminars, technical help, parts availability, meetings and a great bi-monthly magazine the “ITC Thunderbird Script”. 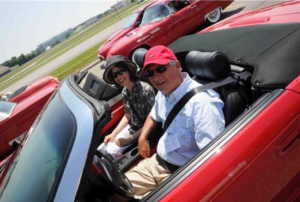 Since you are reading this you must be like me and share an interest in Ford’s most iconic model, the Thunderbird! You may like the classic version from ’55 or bought a ’66 Flairbird brand new. Perhaps you grew up with an ’83 Aerobird in the garage or are enjoying the classic lines and late model comfort with a 2005 Retrobird. 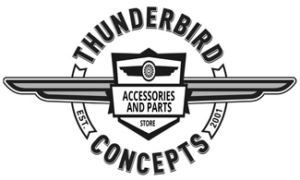 Personally, I am a “bookend” Thunderbirder with ’57 and ’03 Thunderbirds. It doesn’t matter what year you like (or even if you own one!) 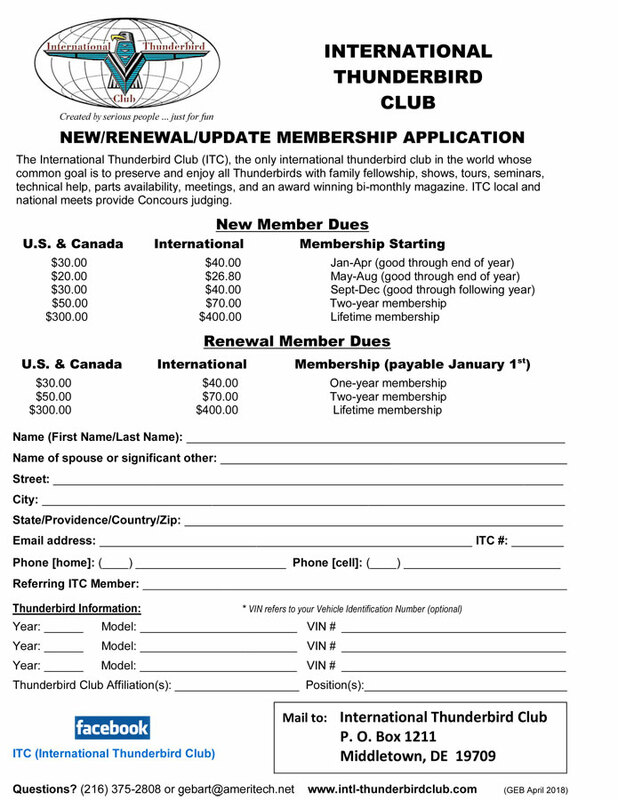 you are part of the Thunderbird family and are welcome here. 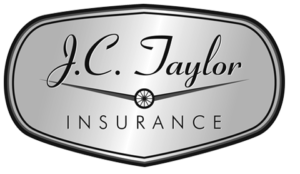 Please look around our site, cruise over to our Facebook page…there are ITC events happening all the time and we have members across the country and around the world. Thunderbird fever can happen anywhere or anytime! The ITC is always there to answer any questions you have. So go ahead and reach out to any of us on the Club Info > Officers and Advisors menu item above. I look forward to the time when we can meet and chat about your Thunderbird in person.